Although the cost of living and traveling in Latin America is far cheaper than the cost of living in San Francisco, I knew that the total cost of 5+ months in Latin America would be exponentially higher than my total cost for 5 months in Southeast Asia. It is still the Americas after all. Parts of South America such as Chile and Argentina are modern, and the costs of living and travel in those countries are comparable to small towns in the United States. Remote and/or isolated areas such as Easter Island, the Galapagos, and Cuba are labeled with hefty price tags due to heavy tourism and government bureaucracy. But to offset those costs, countries such as Peru, Ecuador, and Bolivia are filled with large indigenous populations, calling for a standard and cost of living more comparable to regions in Southeast Asia. Despite the vast fluctuation of costs from country to country, budget travel is still possible. Because Southeast Asia, Hong Kong, and Japan cost me ~$6,000, I oversimplified and quickly budgeted double the amount for South America for an approximate of $12,000. Now that the Adventures of Romping & Nguyening Part 3 has concluded, I can proudly say that my budget was spot-on even with the expensive add-ons of Easter Island, the Galapagos, Cuba, and Cancun. Below is my breakdown of 5 weeks in Chile, 5 weeks in Argentina, 1.5 weeks in Bolivia, 5 weeks in Peru, 4 weeks in Ecuador, 3 weeks in Cuba, and a couple days at an all-inclusive resort in Cancun. Travel Insurance: It seems as if all travel insurance companies come with horror stories, but the company with the fewest negative reviews was World Nomads. Chris and I paid $402 each for travel insurance from mid-March through August for Chile, Argentina, Uruguay, Bolivia, Peru, and Ecuador. Visas: Brazil and Argentina require US citizens to have a visa prior to arrival. Right off the bat I knew we wouldn’t have time for Brazil, so I only bothered to attain the visa, or “reciprocity fee,” for Argentina. It can be purchased and printed online for $160 and it lasts for 10 years. Although no one checked our reciprocity fee upon entrance and departure (all via land), I still would rather play it safe than risk being turned away from the border for not having paid the reciprocity fee. Bolivia also requires US citizens to have visas, but the visa can be purchased upon arrival. Their laws seem arbitrary and are constantly changing, and at the time of writing, only a 1-month single-entry $60 visa could be purchased at border crossings. If purchased in advance, the visa would cost $135 for a 5-year visa with 3 entries per year. 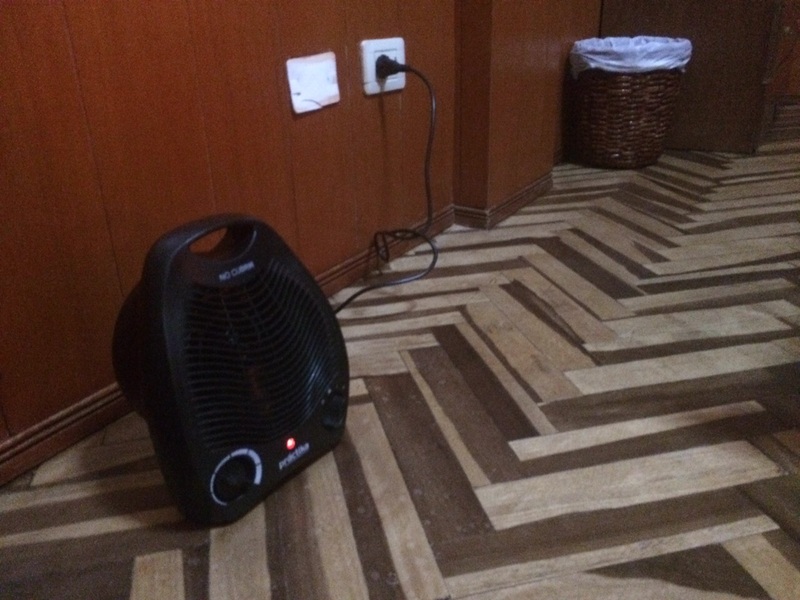 We ended up crossing the Bolivian border twice, which cost us $120 total each. Both times we were never asked for our yellow fever vaccination card, which we always kept handy. Flights: Our first destination was the far south of Patagonia, which required multiple flights. We flew first class via Air Canada from SFO to Santiago for $9.20 and 55,000 points, and a couple days later we flew domestic from Santiago to Punta Arenas for $202.90. The grand total from San Francisco to one of the southernmost cities in the world cost us each $212.10. Not too shabby! Our flight home also consisted of multiple flights: a flight out of Ecuador to Cancun for our adventure to Cuba, and our final flight home from Cancun to San Francisco. The non-direct first-class flight from Quito, Ecuador to Cancun, Mexico cost $102.98 using points, and the non-direct flight from Cancun to San Francisco cost $304.49 for a total of $407.47 for our journey home from South America to the Caribbean to San Francisco. Total for the base costs of travel insurance, Argentinian and Bolivian visas, and flights to and from South America: $1,301.47, about 20% of my entire cost for SE Asia! The cost of living and travel in mainland Chile, Argentina, Uruguay, Bolivia, Peru, and Ecuador include everything one would expect: transportation, meals, lodging, admission fees, healthcare needs, bicycle/car rentals, and random splurges on dinners and wine. This amount also includes the occasional guide for trekking, long-distance bus travel, some gifts/souvenirs and the cost of shipping them back home, and a $16 portable heater (hey, it was winter time in South America and it was freakin’ cold!). From the bare necessities to the little extras in life, this sum paid for it all. When I see that the grand total of $5,717.14 combines all my ATM withdrawals, cash/credit card purchases, and AirBnB lodgings in mainland South America for 4 months, I know that travel in Latin America can be done cheaply. When it comes down to it, it was the “must-do” excursions that made my total cost skyrocket. Okay, maybe they weren’t truly “must-do” excursions, but we knew we absolutely had to hike the Inca Trail, explore Easter Island, cruise the Galapagos, see Cuba, and finish with an amusing 2-nights at an all-inclusive resort in Cancun. Whether or not we were true budget travelers, I still managed to visit all these places at shockingly good prices. Due to growing popularity, not everyone gets (or wants!) the privilege to hike the grueling 4-day, 3-night Inca Trail. I booked the Inca Trail trek 6 months in advance with a small company called Tierras Vivas for $550, which limits group sizes to only 4 hikers. Other hikers I met on the trail who chose to go with bigger companies (G Adventures, Llama Path, Alpaca Expeditions) paid a couple hundred dollars more and were put into larger groups of 8-12 people. I acknowledge that it is a high fee for a multiple-day trek and not everyone can include this excursion in their budget travels. Most people visit Machu Picchu without hiking the Inca Trail, but even then, simply getting to Machu Picchu alone will cost at least a couple hundred dollars. 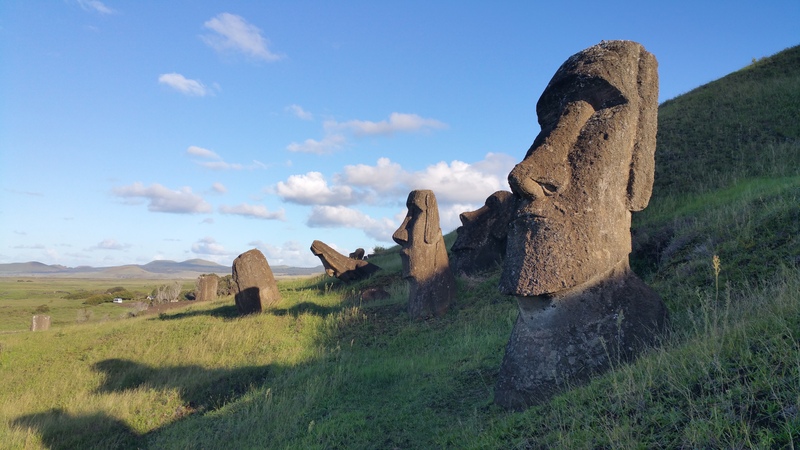 Everyone gawks in amazement when I tell them I spent a grand total of $742.67 for my 5-day trip to Easter Island, especially since $558.17 was for the plane ticket (which ended up being first-class due to a bug on their website!). Granted, I lucked out in not needing to pay the national park entrance fee over an ongoing dispute with the government. I primarily saved hundreds of dollars by camping most nights on the beach and spending 2 nights at a AirBnb, bringing in groceries from Santiago and cooking all my meals on the island, and renting a bicycle to get around. Details of Easter Island on a budget can be found here. Okay, the Galapagos is truly NOT a budget destination. We almost skipped these islands, but we were glad we didn’t. Although expensive, there are ways to save money when visiting these islands which I outlined in this post. Our flight from Guayaquil to Santa Cruz Island and back to Quito was $428.87. Our last-minute cruise was $920 per person, almost $1,000 off. The national park fee that everyone must pay is $100. We spent an additional $170 for scuba diving and $145 for a land excursion. 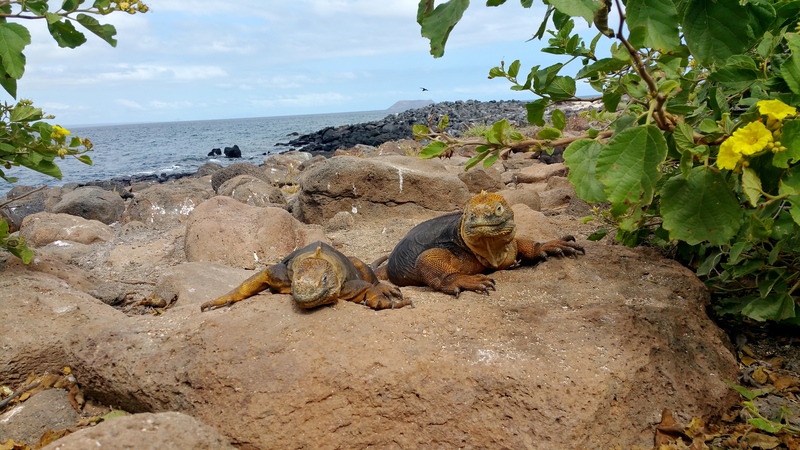 And with the final costs of food, beverages, and cheap lodging at Hotel Santa Cruz for $30/night I spent a grand total of $2,056 for 10 days in the Galapagos. Many spend more than double for half the amount of time. Cuba is not South America, and Cuba takes the concept of travel to a whole new level. Whereas most of the people live on less than $25/month, a budget traveler will need at least $50/day. 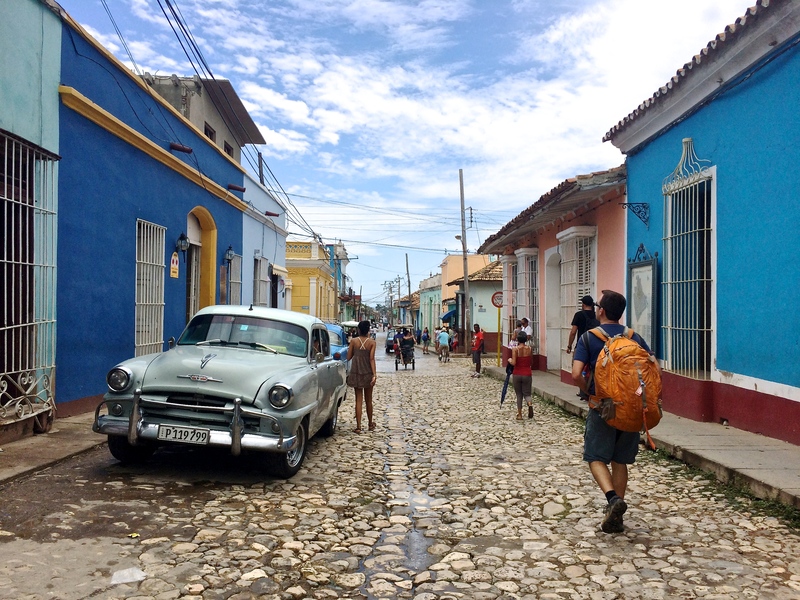 My lengthy post about budgeting in Cuba can be found here. But in a nutshell, my roundtrip flight from Cancun to Havana was $359.69, and I spent a total of $1,135.66 in cash over the course of 20 days, making a grand total of $1,495.35. Chris and I generally dislike all-inclusives. I usually like to make fun of them. So what better way than to finish our 5 months of backpacking on a budget? 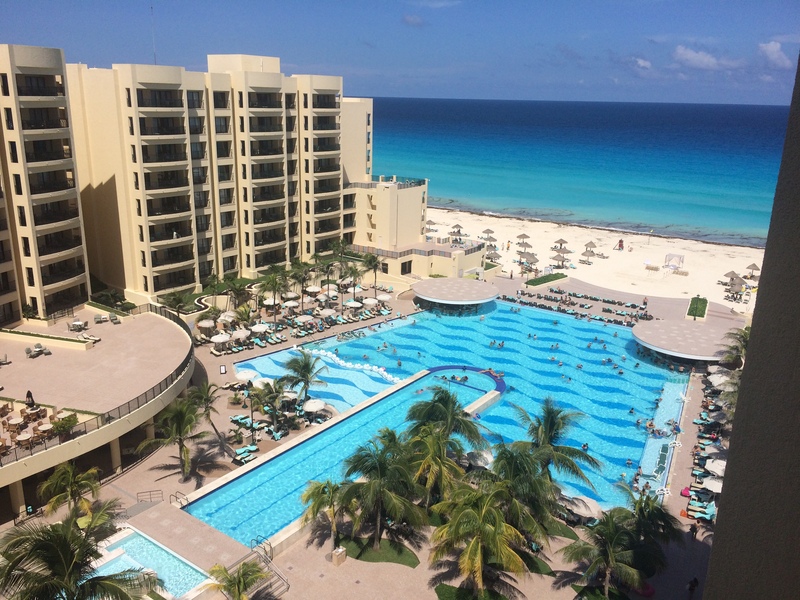 An all-inclusive in Cancun because why the hell not?! Our only purchases were 2 nights at The Royal Sands for $247.10 each and shuttle service to and from the airport for $13.50 each, a grand total of $260.60 for 1.5 days of bottomless drinks, 24/7 room service, restaurants, pristine beaches, a giant pool, and a spotless, air-conditioned hotel room 4x bigger than any of our other hostels/rooms in Latin America. Nguyening! I had a couple hundred dollars in my wallet when I returned home, and I may be missing a transaction here or there. Based on these numbers, my total expenditure for 5+ months in Latin America was $12,000 plus or minus a hundred dollars, which was exactly what I budgeted earlier in March. Keep in mind that sharing accommodation, meals and snacks, car rentals, etc. with one other person also helped bring down the costs. Considering the fact that 4 months of South America cost me $7,018.61 and 5 weeks of “must-do” excursions cost me $5,104.62, I can assume that Latin America can be easily done on a budget once you exclude my “must-do” excursions. I know $12,000 sounds like a lot. But consider that people do 2-week Galapagos/Machu Picchu tours for ~$5,000 per person. Many need $2-3,000 for 5 days on Easter Island. There are 2-week Patagonia tours without international airfare that range from $4-$5,000. Once you realize I spent almost $12,000 on 20+ weeks of travel, it’s not so bad after all.